Join us for a Happy Hour at MAK studio! We're kicking off the 2019 HOUSTON X DESIGN Week with a happy hour at māk studio. māk was founded in 2014 to be a platform for design innovation and digital fabrication for the design and construction industry. 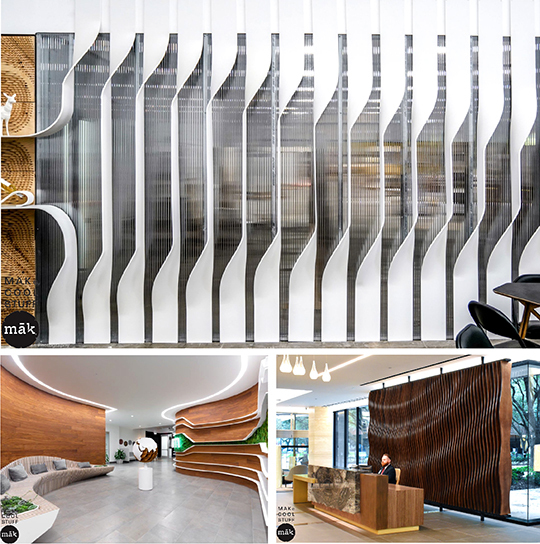 māk provides fabrication and design services for specialty commercial interiors as well as custom digital fabrication of walls, ceilings, and custom millwork. They believe that technology is changing the way designers deliver solutions to the built environment and we enjoy being able to help their clients realize their unique designs. māk works closely with architects, interior designers, contractors and building owners in a digitally collaborative manner. An integrated approach to design, digital fabrication and installation differentiate them as manufacturers. They use state-of-the-art technologies and rapid-prototyping tools that allow them to quickly provide samples and budgets. The māk team is proud to help designers achieve solutions that are the most innovative in the design industry.